Record number of black, latino, and young voters have already gone to polls. President Donald Trump has traveled the country in recent weeks telling crowds in states including Texas, Florida, and Arizona that a vote for Republican politicians is a vote for his agenda—and high early turnout among typically Democratic groups suggests that anti-Trump voters are taking in that message as well. Early voting turnout is breaking records and vastly exceeding expectations in several closely-watched states, with Democrats hopeful that enthusiasm among young people, African-Americans, and Latino voters will lead to Democratic victories and deliver a strong message of resistance to Trump. “We’ve never seen anything like this,” Michael McDonald, a professor of political science at the University of Florida, told the Brennan Center for Justice, sharing research showing that voters in North Carolina, Georgia, Minnesota, Texas, Florida, and Nevada have cast twice as many ballots so far as they did four years ago. Across the country, more than 22 million Americans have already voted in state and federal elections, with six days left to go until Election Day—compared with 83 million total voters who went to the polls in the 2014 midterms. Tom Bonier, CEO of the political data firm TargetSmart, suggested that the high turnout is a result of new levels of enthusiasm for—and against—candidates. “While early vote has consistently increased over the last decade, early indications are that we’re seeing more than an incremental increase in voter participation this cycle,” wrote Bonier in a Medium post on Wednesday. In Texas, where residents have started voting in a number of races including one for Republican Ted Cruz’s Senate seat, turnout among voters under the age of 29 has increased 508 percent, while black and Latino voters are going to the polls at more than double the rate they did in 2014. Journalists on Twitter wrote that the numbers could be a positive sign for Cruz’s opponent, Rep. Beto O’Rourke (D-Texas). 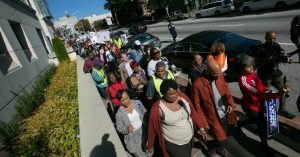 In Georgia, where Republican gubernatorial candidate Brian Kemp—who also serves as the Secretary of State and oversees the state’s elections—has been accused of multiple voter suppression attempts, voters appeared intent on rendering such attempts ineffective by going to polls in greater numbers than they have in previous years. Young voter turnout was up 476 percent as of Wednesday, according to TargetSmart, while 165 percent more black voters had gone to the polls so far and Latino turnout was up 571 percent from 2014. 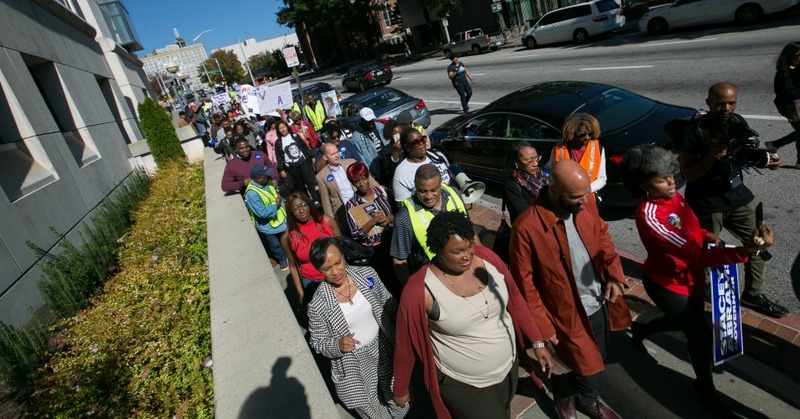 Democrat Stacey Abrams, who is running against Kemp and who could be the country’s first black female governor, has called on voters to treat voter suppression attempts as a call to arms, going to the polls in greater numbers. Other battleground states including Nevada, Florida, and Pennsylvania also saw increased participation among young, black, and Latino voters according to TargetSmart’s analysis.